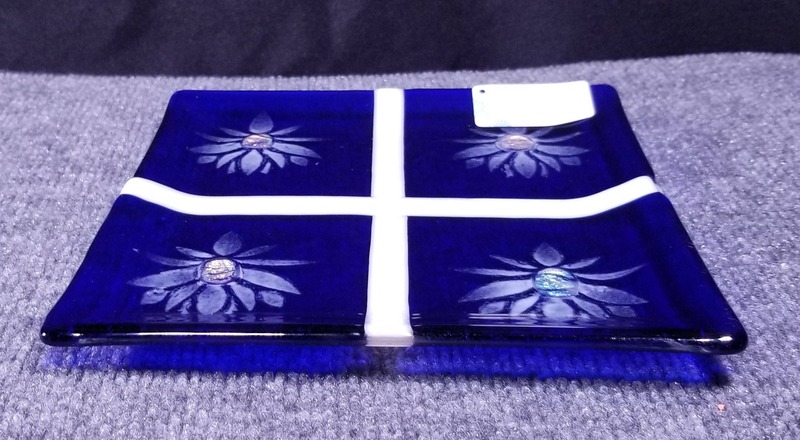 This is a lovely 9" square plate, created in my glass workshop. It is 1/4" thick and features lotus blossoms with dichroic glass centers. 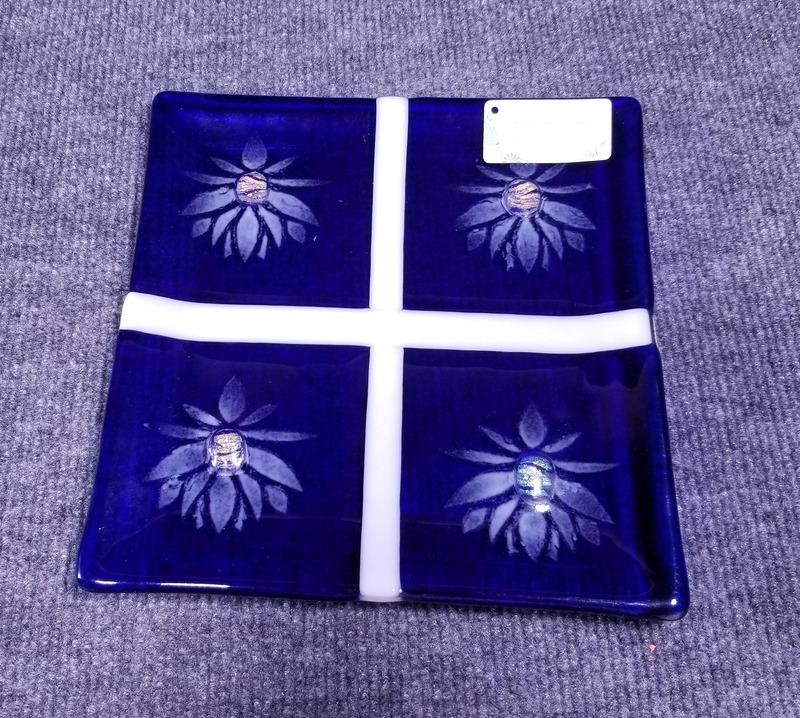 It would be a fantastic plate to display, but is perfect for serving as well. Great for the holiday season, but nice for any time of year! Thank you for looking! I you have any questions, please ask.